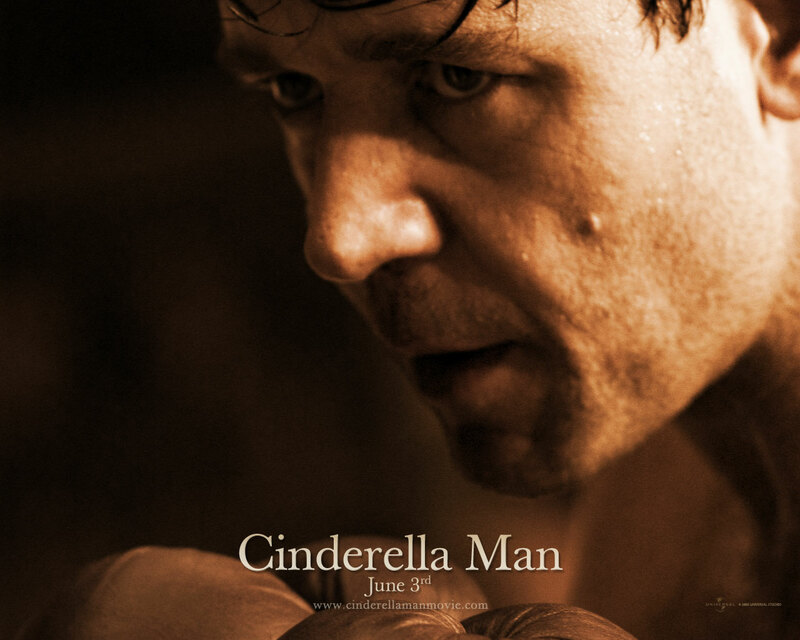 This is the third time I am watching Cinderella Man a film by Ron Howard, titled after the nickname of heavyweight boxing champion James J. Braddock and inspired by his life story. Russell Crowe has acted as James J. Braddock and Renée Zellweger as Mae Braddock. Russell Crowe has done excellent job, his acting is simply marvelous. This is a story of James J. Braddock is a hard-nosed, Irish-American boxer who is forced to give up boxing after breaking his hand in the ring. This is both a relief and an upset to his wife, Mae: she cannot bring herself to watch the violence of his chosen profession, yet knows they will have no good income without him boxing. As the United States enters the Great Depression, Braddock does manual labor as a longshoreman to support his family, even after badly breaking his hand. Unfortunately, he cannot get work every day. Thanks to a last-minute cancellation by another boxer, Braddock's longtime manager and friend, Joe Gould, offers him a chance to fill in for just this one night and make a little money. The fight is against the number-two contender in the world, Corn Griffin, and Braddock is seen as little more than a convenient punching bag. Braddock, however, stuns the boxing experts and fans with a third-round knockout of his formidable opponent. He believes that while his right hand was broken, he became more proficient with his left hand, improving his in-ring ability. Against his wife's wishes, Braddock takes up Gould's offer to return to the ring. Mae resents this attempt by Gould to profit from her husband's dangerous livelihood, until she discovers that Gould and his wife also have been devastated by hard times. With a shot at the heavyweight championship held by Max Baer a possibility, Braddock continues to win. Out of a sense of pride, he uses a portion of his prize money to pay back money to the government given to him while unemployed. When his rags to riches story gets out, the sportswriter Damon Runyon dubs him "The Cinderella Man,"
Braddock demonstrates no fear. The arrogant Baer attempts to intimidate him, even taunting Mae in public that her man might not survive. When he says this, she becomes so angry that she throws a drink at him. She cannot bring herself to attend the fight at the Madison Square Garden Bowl or even to listen to it on the radio. A graphic at the end of the film reveals that Braddock worked on the building of the Verrazano Bridge, and that he later owned and operated heavy machinery on the docks where he worked during the Depression. Also, he and Mae used the winnings to buy a house, in which they spent the rest of their lives.